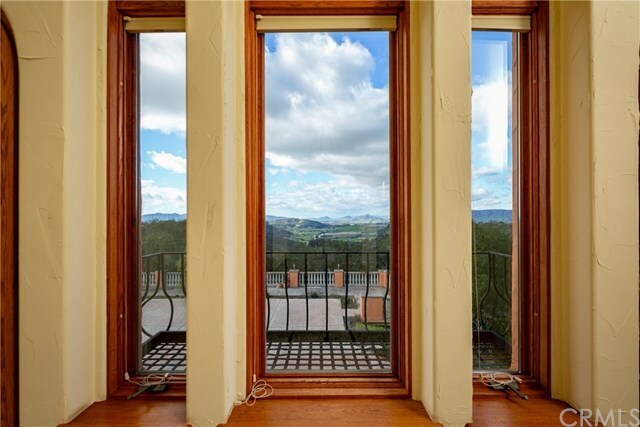 Sweeping Views in Every Direction! 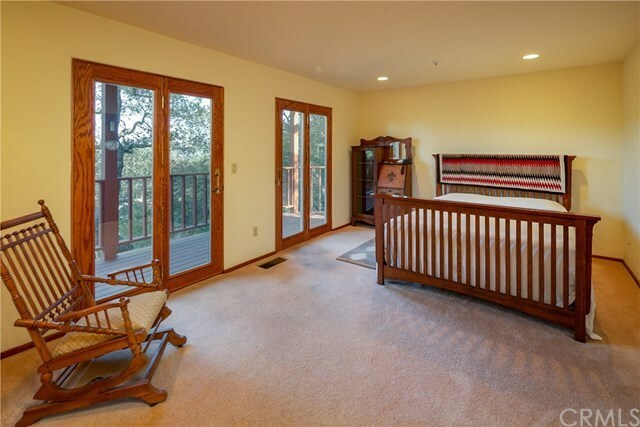 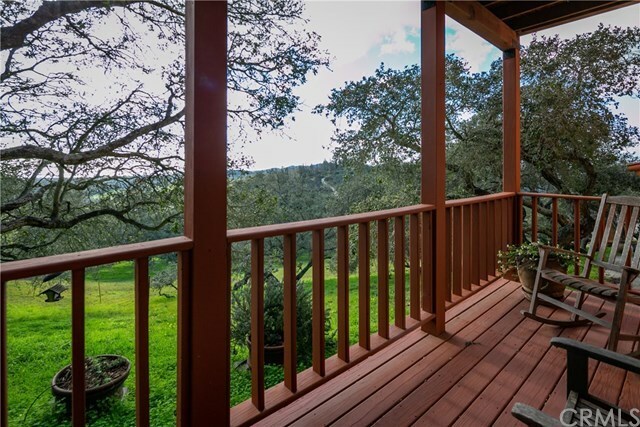 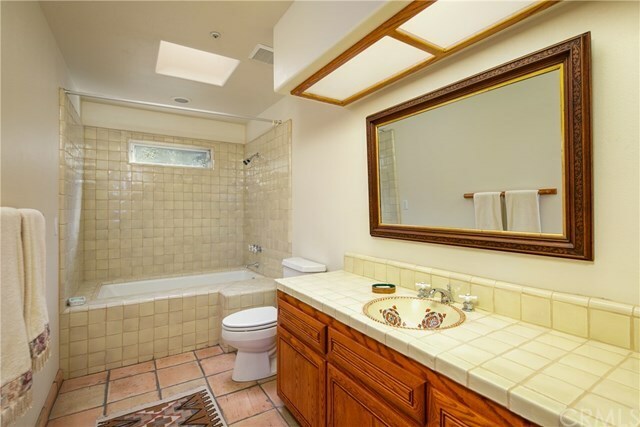 Looking for privacy and views? 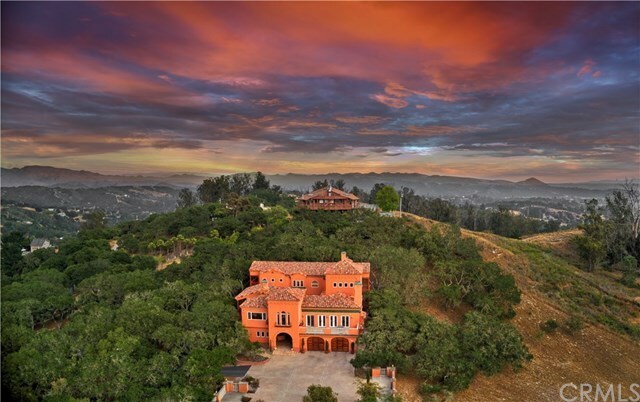 This hilltop Mediterranean masterpiece showcases unending views in all directions from Point Sal to Pismo Beach; from the Seven Sisters mountain peaks to the Edna Valley Corridor, and from the Pacific Ocean to the Santa Lucia Mountain Range. 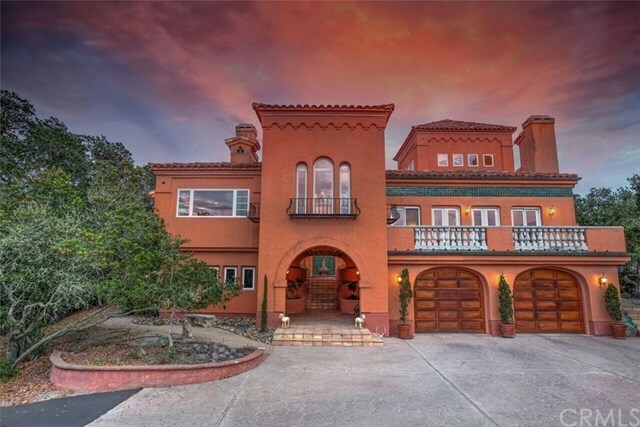 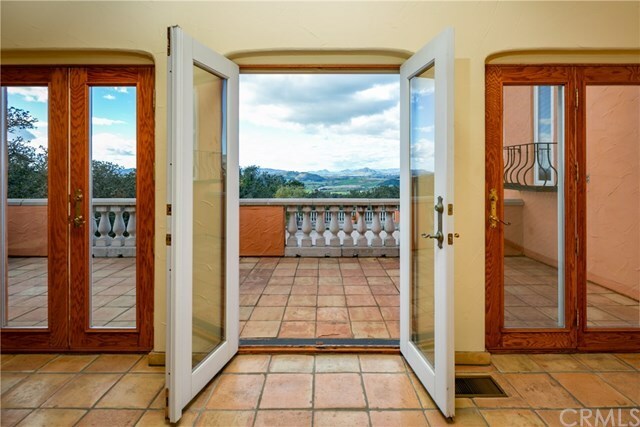 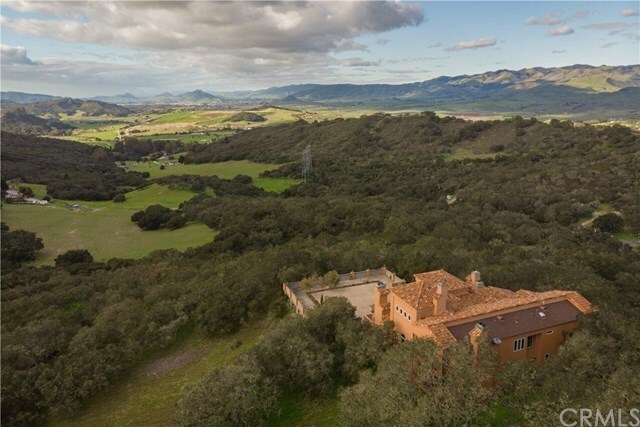 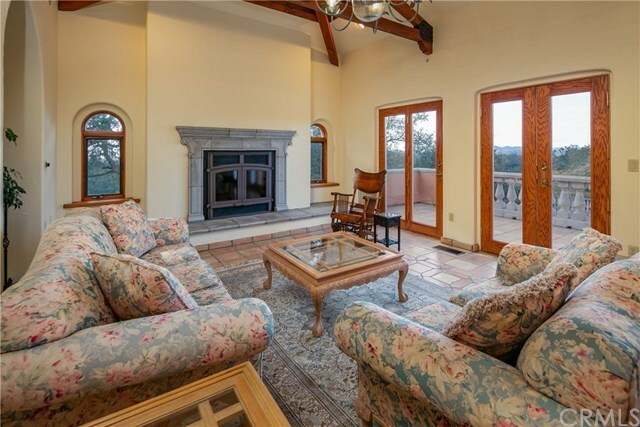 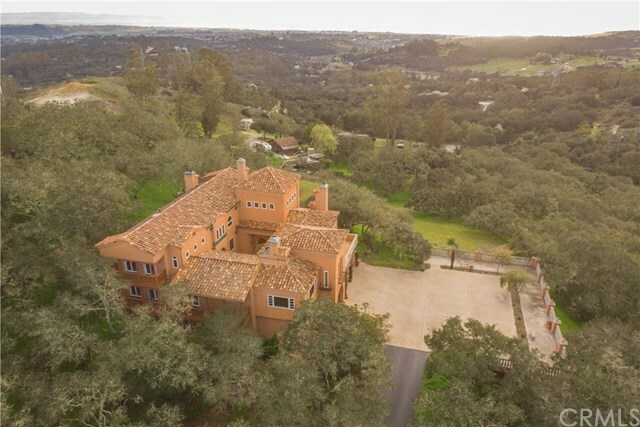 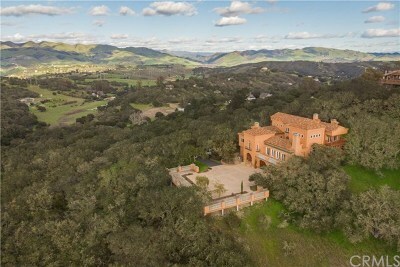 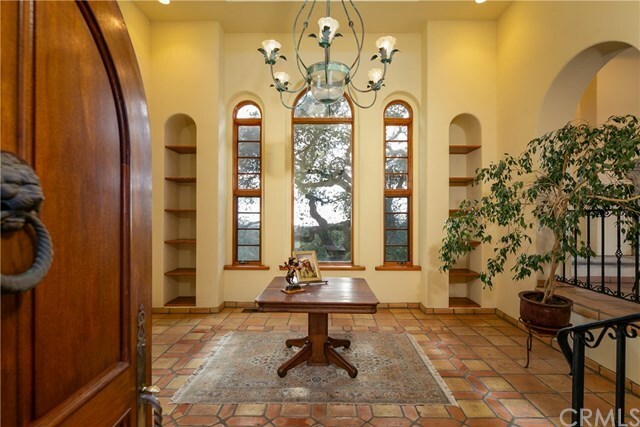 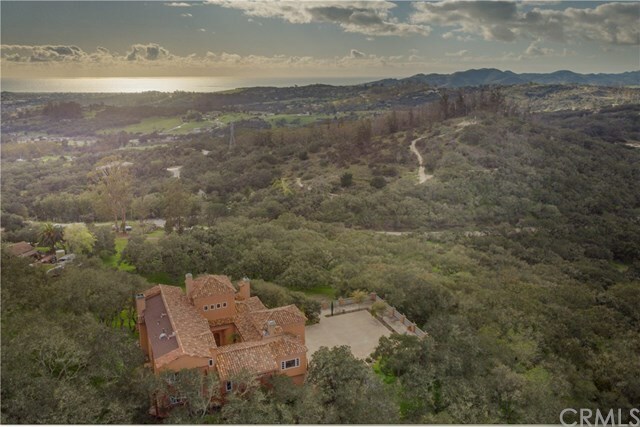 Sitting behind a privacy gate on an oak studded 8.59 acres located between San Luis Obispo and Arroyo Grande this exquisite estate boasts 4,832 sq.ft of living space with a grand entrance into the towering 25 ft. foyer. 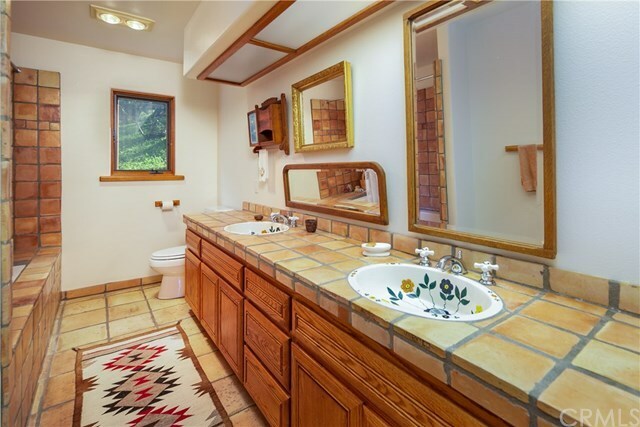 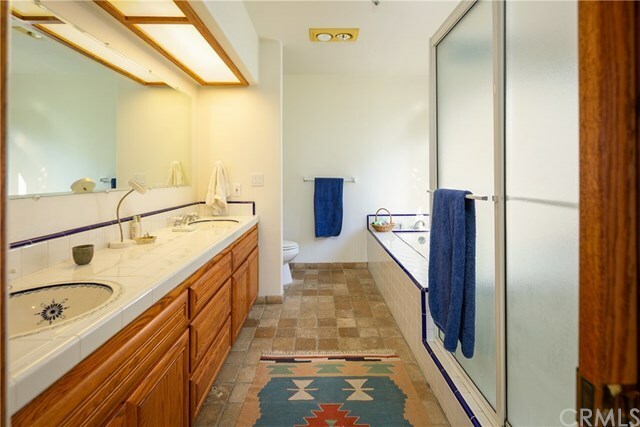 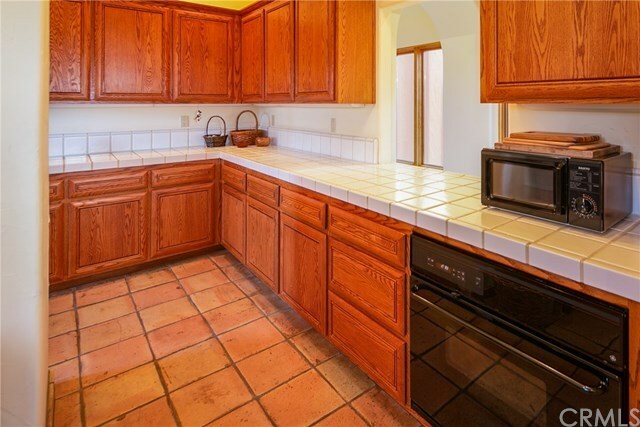 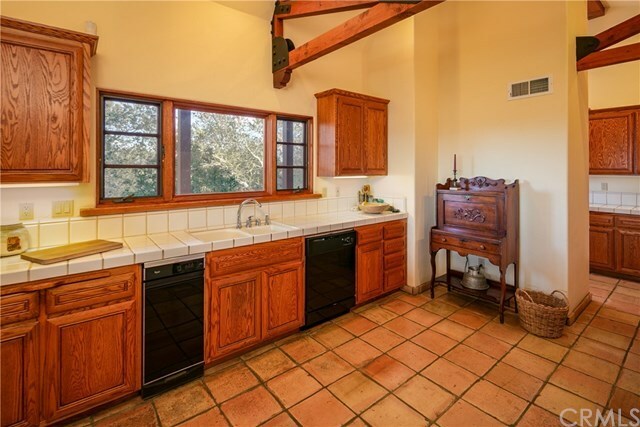 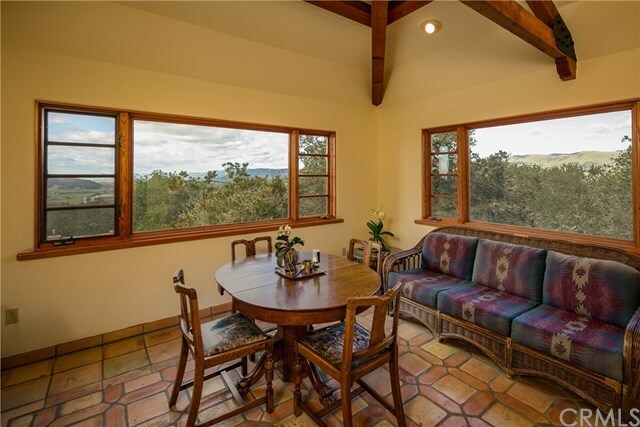 Continue along to the living room, formal dining room and breakfast nook that have incredible views towards San Luis Obispo and the Seven Sisters Peaks. 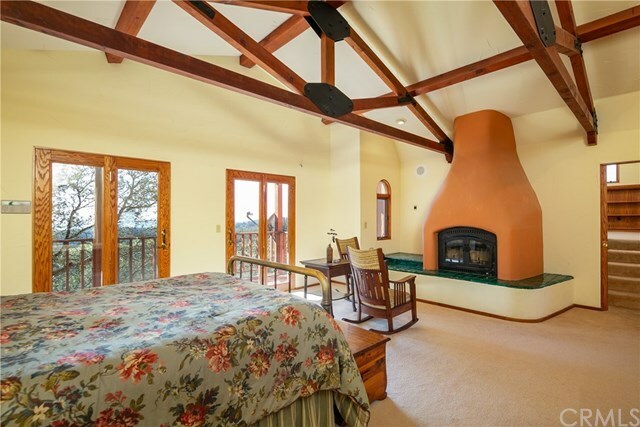 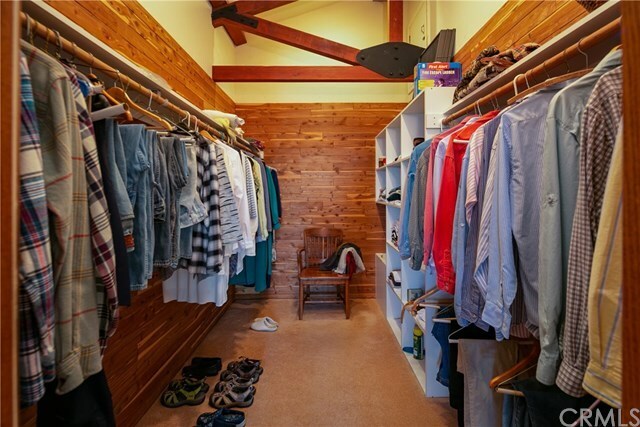 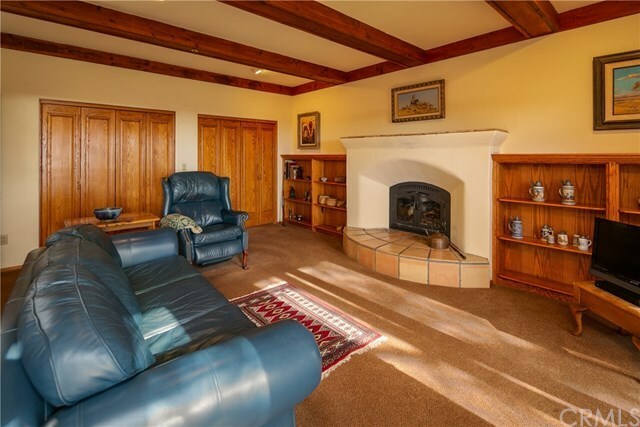 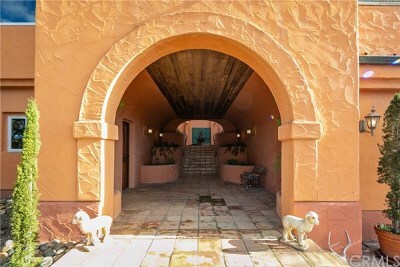 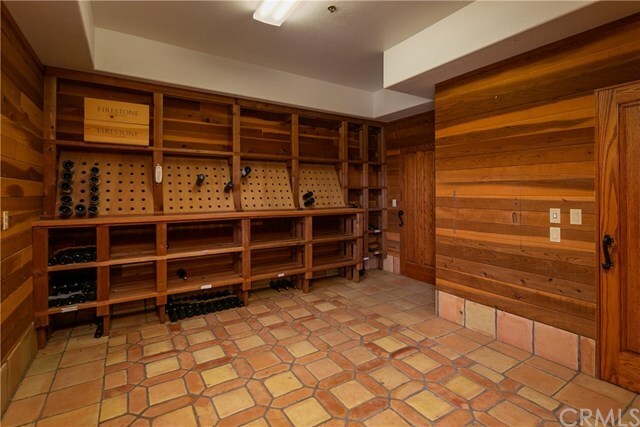 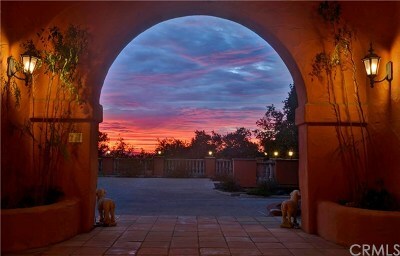 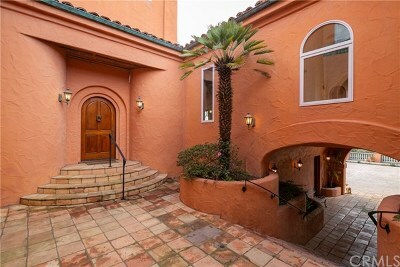 This home includes 4 spacious bedrooms, 3 large bathrooms, three fireplaces, and a wine cellar. 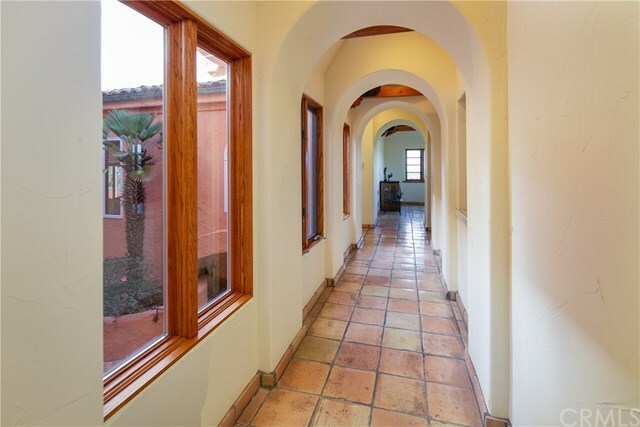 Saltillo tile floors, solid core mahogany and oak doors, handcrafted handrails, light fixtures and chandeliers add to the Mediterranean architecture of this home. 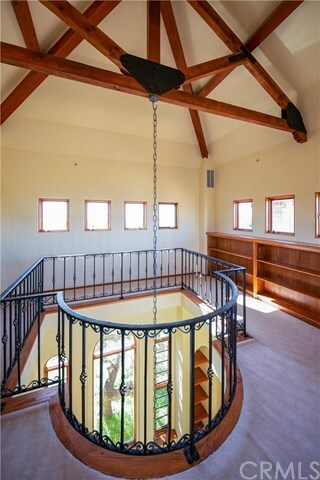 The vaulted ceilings throughout the home have an exposed and elaborate truss system that is stunning to the eye. 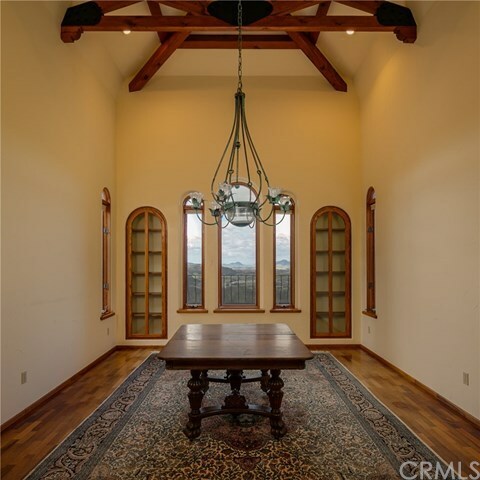 A library sits at the top of this home and has windows showcasing the dramatic views and also looks down into the foyer at the front entrance. 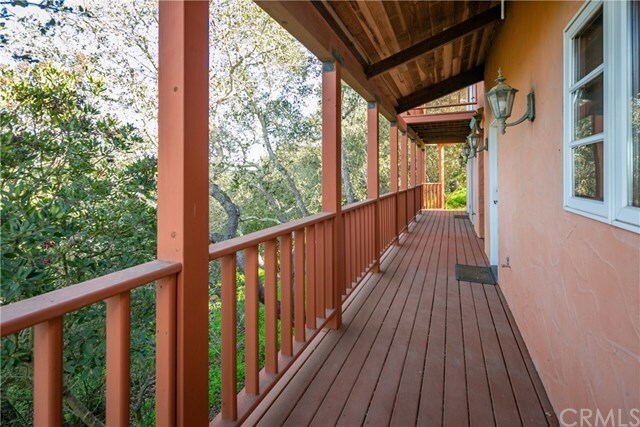 Multiple decks around the home add to the entertaining space and take in the expansive and stunning views. 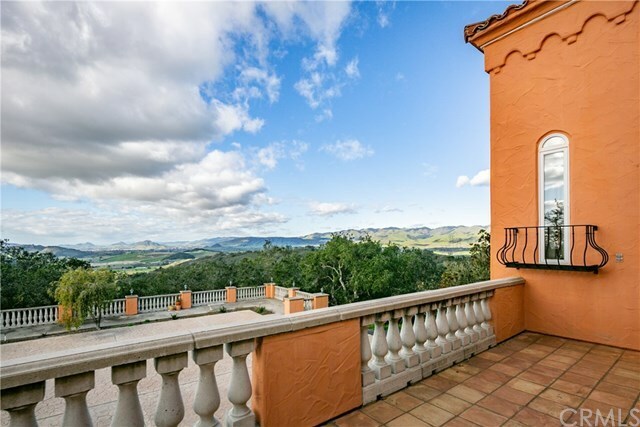 Have I mentioned that you can have views and privacy and still be just minutes from the airport, shopping and numerous wineries? 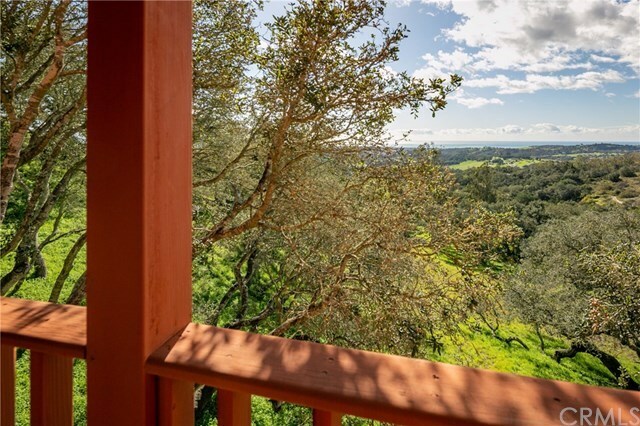 Directions: Hwy 227 North from Arroyo Grande. 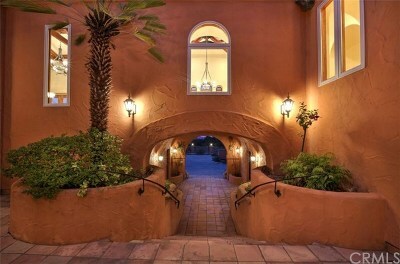 Turn Right on Via Chula Robles. 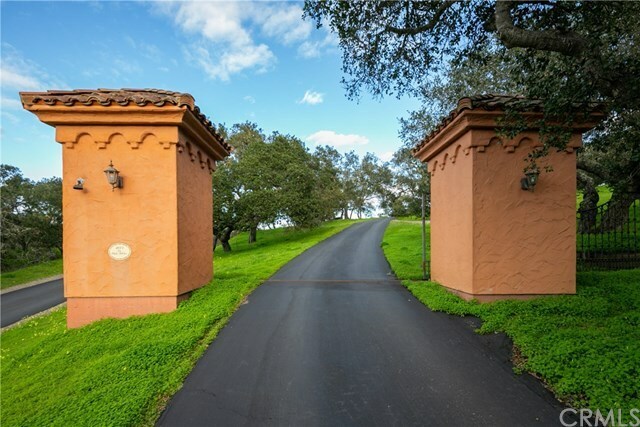 First gate on right.